The 26-year-old Beckham was traded from the New York Giants to the Browns on March 12. While Beckham was initially unsure about the move, he seemed to embrace his new surroundings. He posted two pictures of himself on Instagram in a Browns jersey, and another in which he used the hashtag #DawgPound. If Beckham’s now deleted post is to be believed, he’ll spend a few days off the grid to decompress. It probably won’t be long before he re-emerges on social media feeling refreshed. 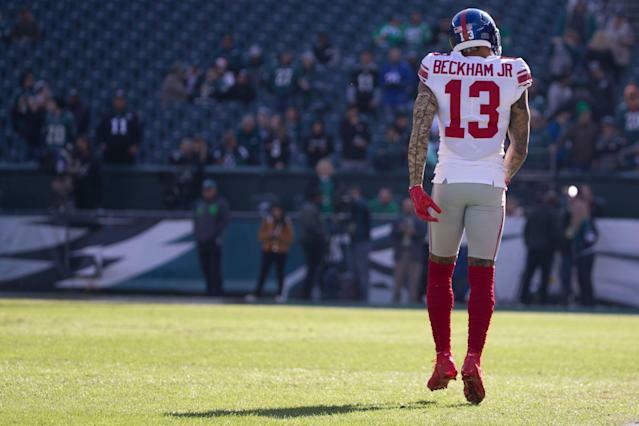 While being traded was probably a hard pill to swallow, Beckham finds himself in a much better situation heading into the 2019 season. The Giants won just five games in 2018. With Eli Manning on his last legs as a passer, the team isn’t expected to contend next season. The Browns, on the other hand, won seven games and look like a major threat in the AFC North. Baker Mayfield showed plenty of promise under center, while Nick Chubb and Jarvis Landry gave the Browns some legitimate weapons. With Beckham in the picture, the Browns offense is much scarier. Change can be tough, but any concerns Beckham has about next season can be quickly erased if the Browns get off to a hot start in 2019.